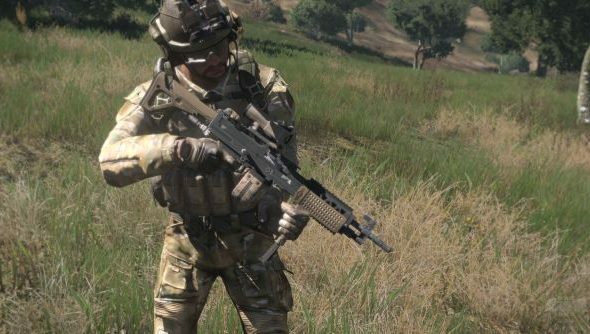 In a sitrep blog update to Arma 3 players, Bohemia Interactive have announced that players banned by their BattlEye anti-cheat system will also be banned from other Bohemia games. Those games currently include Arma 3, DayZ and Arma 2: Operation Arrowhead. In more lighthearted news, some nice updates are coming for Arma 3. The team has “pushed on full steam” with their work on Arma 3 Helicopters, and a release candidate of update 1.26 is nearly ready for release. The update will also include the use of a new method of sending “multiplayer network messages”, which will be brought in from DayZ stand-alone where it has helped reduce network load with large amount of players. Another interesting update for Arma 3 is the addition of new sounds for opening and closing doors of “various materials”. Personally, I really hope this makes its way into DayZ stand-alone, as it’d certainly be nice to have a little forewarning when someone sneaks into the building you’re hiding in.